 The state owned Ethiopian Sugar Corporation is creating a 70.000 hectares sugar plantation. 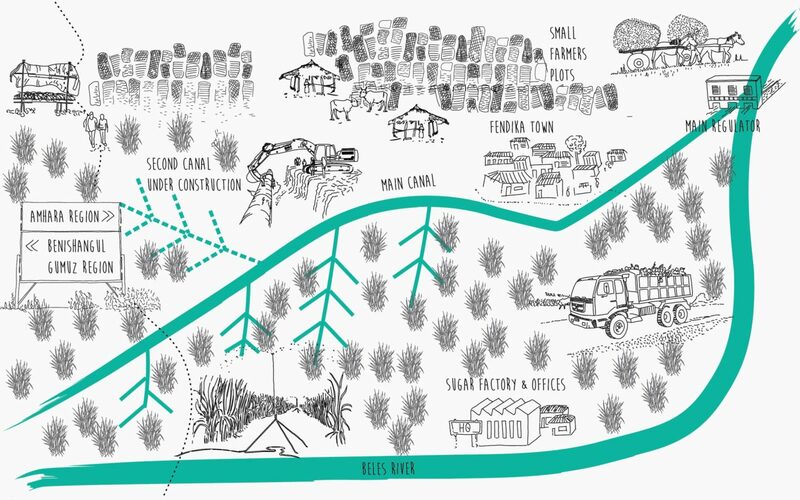 The scheme extends across the Amhara and Benishangul regions and it is irrigated with water taken from the Beles river, a tributary of the Blue Nile. Take Tour Page 1 Copy 2 Created with Sketch.